With the arrival of spring, Linvilla Orchard’s Garden Center Weekend in the perfect opportunity to start prepping for your beautiful home garden. Saturday and Sunday, April 20 and April 21, will be so much fun for the entire family with live music, contests and games for the kids, and gardening sessions. 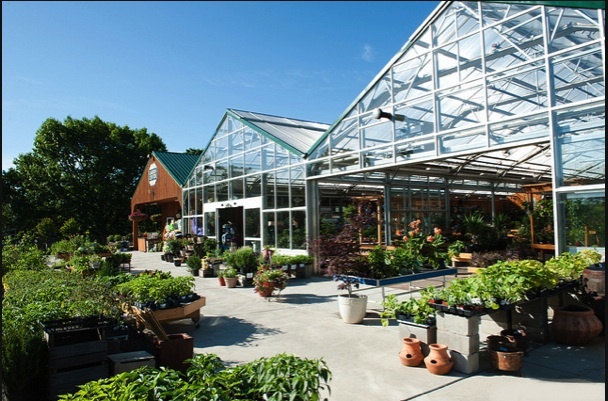 The Garden Center will feature a large variety of annuals, perennials, trees, and shrubs that will be available for purchase and the educational plant classes will teach you everything you need to know about having a garden of your own. Building Your Home Orchard at 10 a.m. Preparing Your Spring Garden at 2 p.m. Basic Garden Design and Planning at 4 p.m. Whether you are an experienced gardener or first timer, there is something for everyone. Costumed characters will be making an appearance for the kids’ entertainment and the Penncrest Band will be playing live music all day long, making this a fun filled weekend for the whole family. Linvilla Orchards Garden Center is located at 137 West Knowlton Road, Media, PA. For more information, call 610-876-7116 or visit www.linvilla.com. Any way you slice it, Chef Paul Drew’s series of cooking classes at Phillips Seafood in Atlantic City is an interactive culinary adventure. So make sure you book your reservation for the next Cook, Crack & Eat class – Prime Cuts! 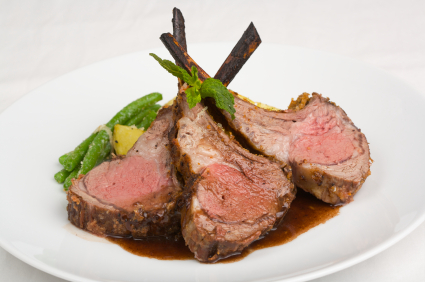 On April 20, Chef Drew will teach you how to prepare prime cuts of meat like rack of lamb, whole chicken and a variety of beef cuts. The cost is $75 and includes the demonstration, lunch and wine tasting. The class will begin at 11:30 a.m. Space is limited, so register early by calling 609.348.2273. 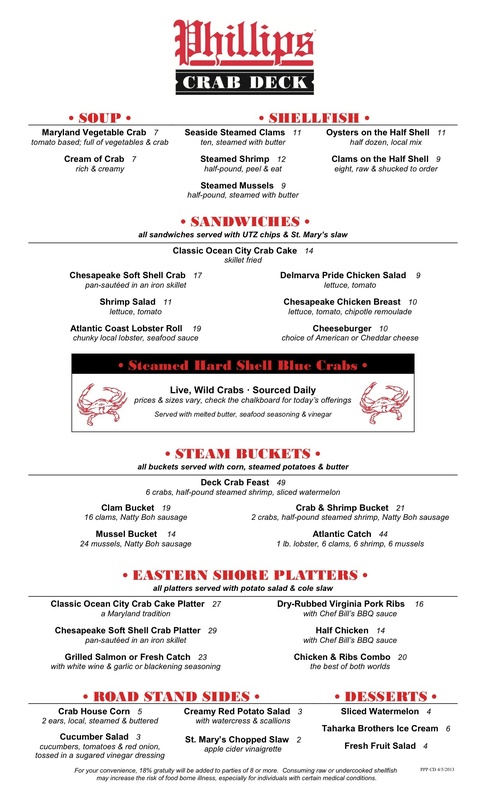 Phillips Seafood Restaurant is located in The Pier Shops at Caesars, One Atlantic Ocean, Atlantic City, NJ 08401. For more information, visit www.phillipsseafood.com. 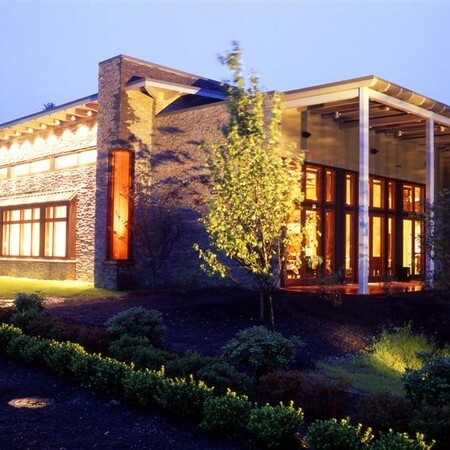 When Nectar Chef Patrick Feury scored an invitation to cook at the James Beard House on February 8, 2013, he decided to create a meal that paid tribute to the farmers of Chester County. Patrick has been collaborating with the dairy farmers for many years and even invited them to accompany him to New York for the event. Despite a snowstorm, the dinner was a huge success! Patrick will be recreating the experience at Nectar in Berwyn on Wednesday, April 24. You won’t want to miss this artisan cheese maker’s mouthwatering dinner! Enjoy hors d’oeuvres and five courses paired with beer from Victory Brewing Company for just $85. A portion of the proceeds will go to the Brandywine Valley Association, which preserves the pristine quality of the area. So, if you’d like to enjoy some great food, drink award-winning craft brews, and support a great cause, call Nectar today and make your reservation. Phone (610) 725-9000 or visit www.tastenectar.com. Reservations are limited so book early! Nectar is located at 1091 Lancaster Avenue in Berwyn. neighborhood eatery, will be celebrating this cheesy holiday by offering a great selection of grilled cheese sandwiches that will all cost $2.99. Perhaps one of the most popular sandwiches since the 1920s, the grilled cheese has come a long way from just some cheese in between two slices of bread. 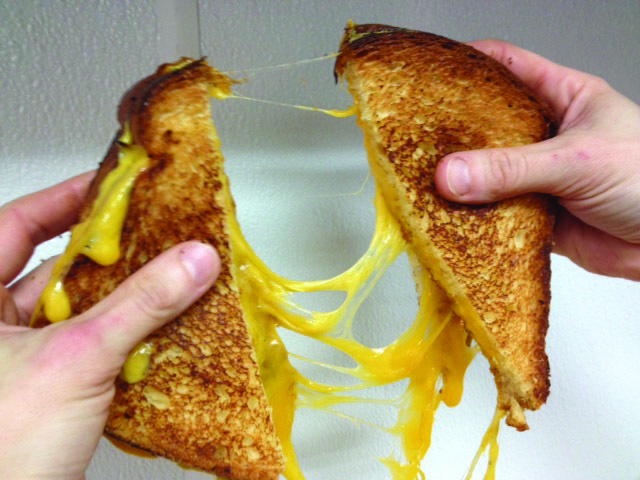 Recently, more and more chefs, like Michael Lynch, have become grilled cheese artisans, making different versions of the legendary sandwich such as a soft pretzel grilled cheese, a caramelized onion grilled cheese, an arugula and truffle grilled cheese and a four cheese grilled cheese. Miles Table will incorporate gluten free options along with seasonal and local ingredients to take this old fashioned sandwich to a whole new level. Miles Table is located at 1620 South St, Philadelphia, PA 19146 and is open seven days a week, Monday through Friday 7 a.m. to 8 p.m., Saturday from 8 a.m. to 8 p.m., and Sunday from 8 a.m. to 6 p.m. For more information call 267-318-7337 or go to www.milestable.com. On Saturday and Sunday, April 13 and 14, Pet Valu presents Pet Appreciation Weekend (PAW), a celebration of our domestic critters and those who love them. There will be games, refreshments, giveaways and pet adoptions at all Pet Valu stores. The goal is to find our four-legged friends families and places to call home forever! While the events are focused around the weekend, Pet Valu and their generous customers will be raising money and donating food and supplies to local animal charities all month long. Pet Valu sees Pet Appreciation Weekend as a chance to build awareness and raise much-needed funds for local animal agencies and services. 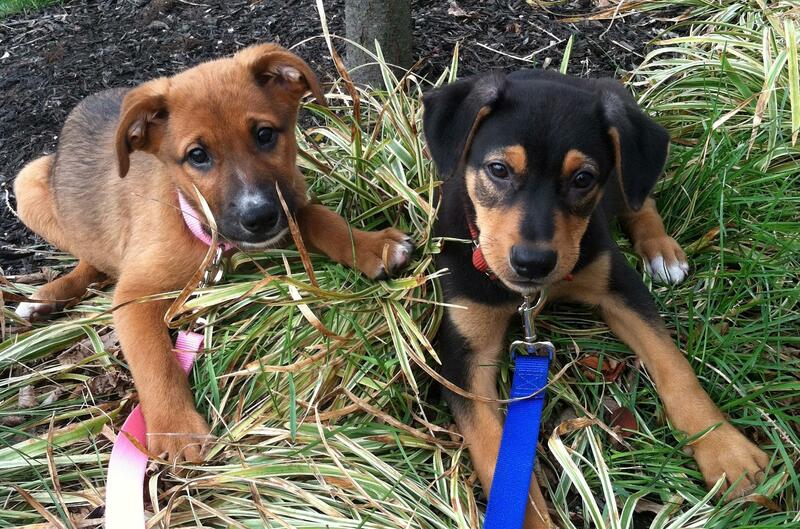 This is your chance to join Pet Valu in helping animals in need. There’ll be purrs and barks heard around the world! Find a location near you by visiting www.petvalu.com. Normally when a chef is invited to cook at the James Beard House, they are used to handling large multi-course events and have all day to prepare. 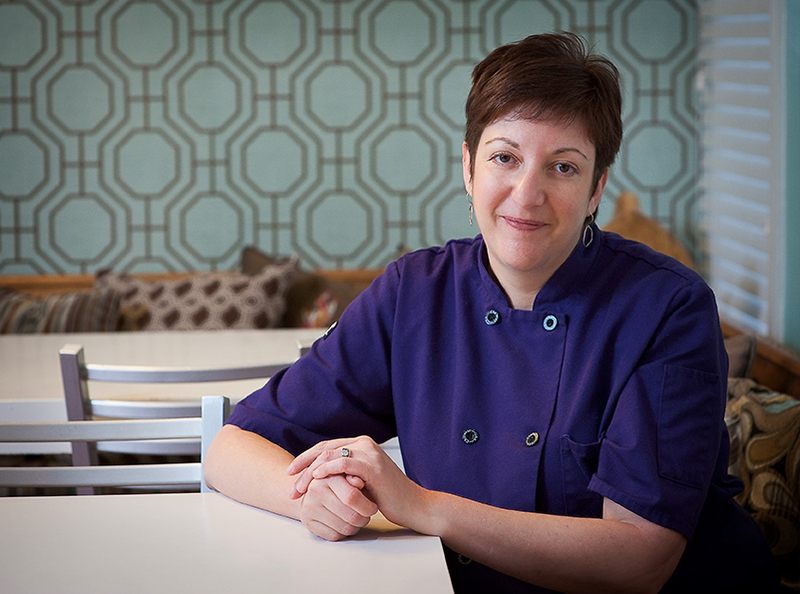 Not so with Amy Edelman, owner and chef at Night Kitchen Bakery, whose café seats less than 20. Amy and her staff will have even less time to get ready at the house because they are serving a multi-course brunch, not dinner, complimented by the finest wines and champagne on Sunday, April 14 at 12 p.m. But a practice run at the bakery in March proved that Amy is more than ready to tackle the challenge! Tickets cost $80 for James Beard Foundation members and $95 for non-members. To purchase tickets, go to www.JamesBeard.org/events. The James Beard House is located at 167 West 12th Street in New York City. Night Kitchen Bakery has been a Philadelphia cornerstone of artisan-baked goods for the past 30 years. The bakery is located at 7725 Germantown Avenue and can be reached at 215.248.9235 or online at www.nightkitchenbakery.com. It’s been three years since down home met uptown at Le Viet. To celebrate their modest milestone, Le Viet’s Special Pho and Chicken Pho will be only $3.33 on Saturday, April 6 from 11:00am to 3:00pm. 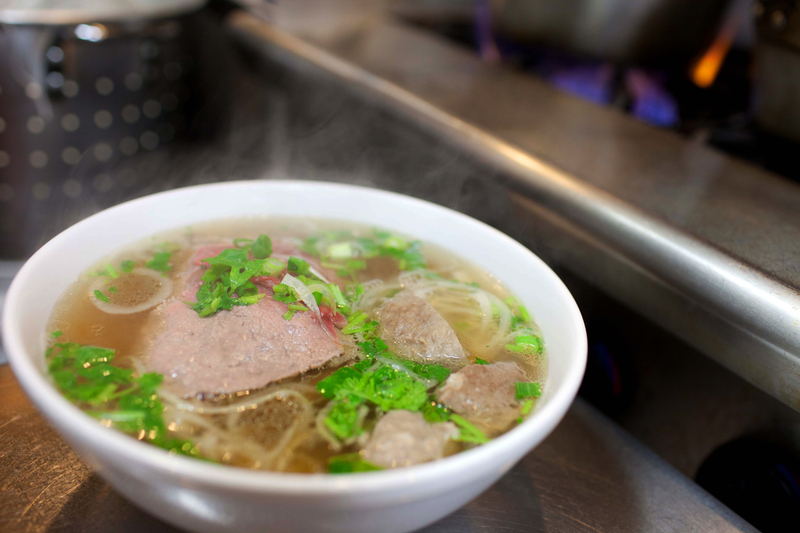 That’s right, a big bowl of Pho for only $3.33 made especially fo’ you! And that’s not all! Enjoy Thai iced tea for only $2.00. It’s all part of Le Viet’s way of saying thanks to their customers for the support over the past three years. Le Viet is located at 1019 S. 11th St. and can be reached at 215-463-1570. Greener Partners, a leader in Delaware Valley’s sustainable farming movement, will unveil a satellite garden designed to teach kids about growing, cooking and eating healthy. The Farm Explorer, a 24-foot mobile van, includes a garden and kitchen and will be on display at Nectar Restaurant in Berwyn, on Sunday, April 7th, between noon and 2 p.m. The chef and team at Nectar have always been passionate about sustainable practices, so the restaurant was the perfect match for the Farm Explorer’s debut! Make a reservation at Nectar if you’re interested in teaching your kids about healthy eating while dining on Chef Patrick Feury’s Asian-inspired, French-infused cuisine. Nectar is located at 1091 Lancaster Ave in Berwyn, Pa. For reservations call 610-725-9000 or visit www.tastenectar.com.